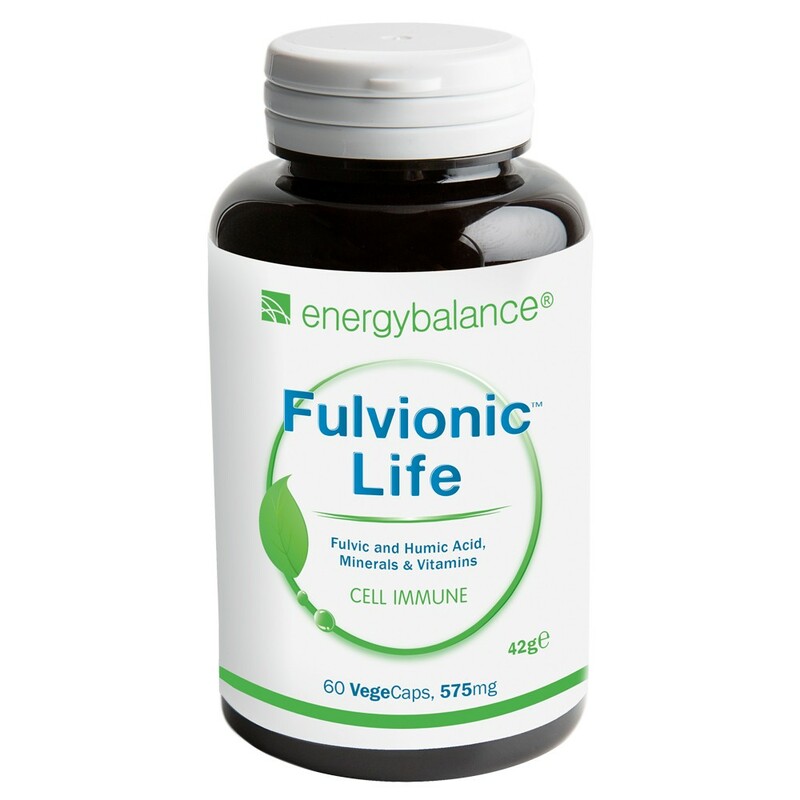 Fulvionic™ life is the unique product, which contains 5 organic trace elements, 4 bio-active vitamins and fulvic acid. Please click on the button "More" and read the 48 exceedingly important health claims for this product. Your body should not have a deficiency of these nutrients and its needs should be satisfied. Fulvic acid contains 65 micro elements from prehistorically Oligocene plant deposits (see the table). This product changes the intestinal flora and contributes to the normal function of the immune system. Contains: 42g = 60 VegeCaps, each 575mg. Sacharomyces cerevisiae is a dried and inactive yeast powder, it does NOT cause any Candida. Oligocene plant is prehistoric organic plant deposit rich in vital minerals, trace elements and fulvic acid. Take the first 7 days 1 capsule per day before a meal and with 1-2 dl / 100-200 ml of still water (non-carbonated). After 7 days, take 2 capsules per day. Do not chew. Protect from sunlight. Store in a cool and dry place (15-25°C/59-77°F). Keep out of reach of children. Do not exceed the recommended daily intake. Food supplements should not be used as a subtitute for a viried diet. A balanced diet and a healthy lifestyle are important. Organic Oligocene plant deposits (fulvic- and humic acid), organic Saccharomyces cerevisiae, Dunaliellasalina algae extract (mixed beta-Carotenoides), vitamin K2 as microencapsulated MK-7 (with 100% biologically active all-trans isomers), organic iron, zinc and manganese as citrate, corn (maize) extract (Q10), cellulose (VegeCaps).